This entry was posted in TV Talk and tagged syfy, tv, warehouse 13 by Jodi. Bookmark the permalink. 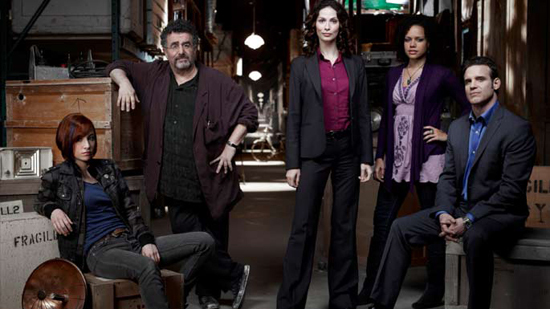 Warehouse 13 is one of the last good shows Syfy has put out. I’m still waiting to see season 5–the season 4 cliffhanger was goosebumps-and-scream-at-the-top-of-your-lungs thrilling! I think you’ll really like the whole shebang! Woohoo! Now that’s my kind of show. Can’t wait to get there! The series has ended now and the final episode was excellent.